Audio Technica ATH-RE70 review | What Hi-Fi? We’ve got a lot of time for the RE70s’ retro styling; the brown-and-white colour combination looks great. The earpads are comfortable, but can make your ears warm over time. 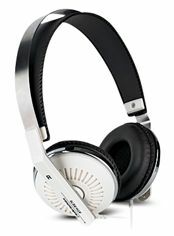 These headphones’ rich, full-bodied sound is extremely likeable, although it can make bass sound a tad sluggish. They leak barely any noise, though.